Will, my friend and field research partner, recently sent me a couple photos I'd like to share with you. 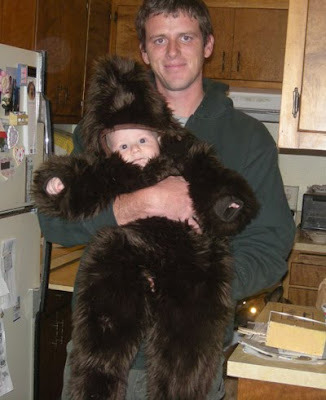 Will's mother thought it was a good idea to make Will's son, Keegan a bigfoot costume for Halloween this year. I have to say, I wholeheartedly agree. 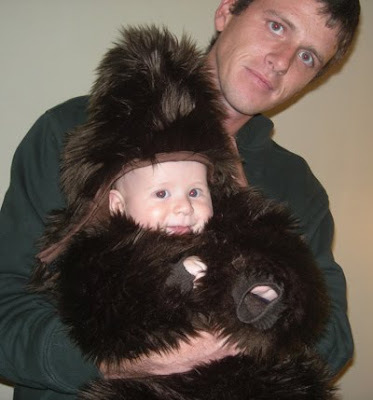 Will, with his littlefoot son, Keegan. Well, Keegan didn't quite grow enough to fill the suit in time for Halloween, but these pics were taken a few weeks later. As you can see, he still has some growing to do. 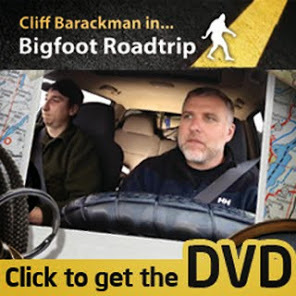 Though I don't generally approve of people having fairly realistic bigfoot costumes, in this case I'll make an exception. If I were dressed like that, I'd be smiling too (just not as cutely). How much? And, what sizes can we get them in?? ?